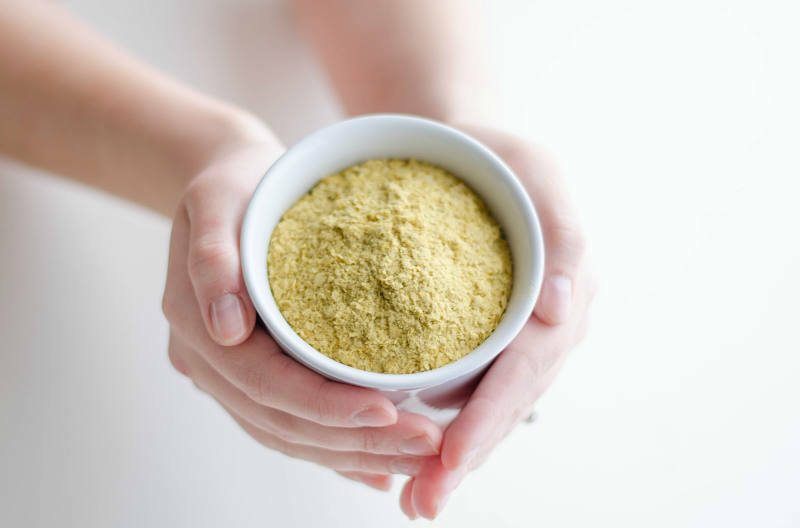 Are you already familiar with the great advantages of using brewers yeast? Or are you one that has not yet been encouraged to try it? If that is the case, if you do not yet include this very beneficial nutritional supplement in your breakfast routine, then you must read this article for the brewers yeast benefits to convince yourself. It is convincingly that there is no better option than that to include brewer’s yeast in the first meal you have in the day in order to enjoy a better quality of life. And further it is very suitable for everyone in the family! How can you resist that? What Exactly is “Brewer’s Yeast”? If you don’t already know that it is the yeast used in making beer, it is very possible that you associate it with the classic drink where almost always a dose of alcohol is included and that, as you know, is made from a base of grain and malt. This supplement that is very nutritional can be found in supermarkets for specialty foods, stores for health food and also in pharmacies. It is not expensive and it goes well with many foods. It can be found in capsules, liquid or even powder form, this last option being the most recommended. You shouldn’t be amazed when you discover the fact that brewer’s yeast really is a kind of fungus. Known since ancient times, it is incredibly beneficial for our health. The beneficial properties are achieved through a process of fermentation, in which a compound is being produced, substance rich in a variety of proteins, vitamins and minerals. Do You Want to Know all Brewers Yeast Benefits? For 100 grams (or 3.5 ounces) of brewer’s yeast, is about 8 grams (or 0.3 ounces) of protein. It is very rich in B complex vitamins, perfect to fortify your hair and nails. It will help you to synthesize enzymes and hormones that will help care for your heart health, strengthening your arteries and blood circulation. Brewer’s yeast is rich in amino acids, fiber and minerals such as iron, zinc, magnesium and chromium. Do you find going to the bathroom painful? Do you suffer from constipation regularly? If so, you should know that brewer’s yeast is very rich in fiber, which is perfect for the regulation of the intestinal tract. In that way the classic problems that almost every woman has will be avoided. Moreover, it strengthens the flora that is found in the intestine and is helpful in the prevention of gas that can be painful and helpful in bloating of the abdomen. Brewers yeast benefits are well known for persons who are recuperating, for children who have a vitamin deficiency or for us when, for example, we are suffering from anemia or we feel more tired than normal due to stress. Do not hesitate to include this nutritional supplement in your breakfast routine. You will see, little by little, that you begin to feel much better. The reason we recommend taking brewer’s yeast in the mornings is due to the fact you will have more energy during the day. The beneficial effects can be noted for several hours. In What Way do You Take Brewer’s Yeast in the Mornings? The best way to way to consume brewer’s yeast is by mixing it with the food you have for breakfast. If you have brewer’s yeast in form of powder, the body will assimilate it much faster and it will help you to begin your day with more energy and with more zest. Therefore, here we will provide you with some delicious options that you can enjoy in the brewers yeast benefits. Greek yogurt with brewer’s yeast in a powdered form (30 grams or 1 ounce), mixed with a plum which is sliced. Blended apple with little amount of cinnamon in powder and 30 grams (or 1 ounce) of brewer’s yeast. Rye bread toast with a few drops of olive oil. A bowl of oatmeal with 30 grams (1 ounce) of brewer’s yeast, along with 2 walnuts and a few strawberries. A bowl of mixed fruits: two strawberries, one pear and five grapes. On top Greek yogurt can be add mixed with brewer’s yeast (30 grams or 1 ounce). A boiled egg cut into slices with two cherry tomatoes. A glass of juice of papaya mixed with 30 grams (or 1 ounce) of brewer’s yeast. A cup of white tea. A rye bread sandwich with sliced turkey breast. A glass of water of oat mixed with powdered brewer’s yeast (30 grams or1 ounce). Whole wheat toast with plum jam. An apple cut into pieces with 2 walnuts and 30 grams (1 ounce) of brewer’s yeast sprinkled on top along with a little cinnamon.